The way above is good if you’re adding a top/parent category. In case you are going to add a new Forum or subForum it would be easier and fast if you use [+] icon-button located on the right side of each forum panel. Using this button you’re adding a new forum directly under a Category (blue panel) or Parent Forum (grey panel) you need. The new forum will be set as a child to this forum automatically. After clicking on [Add new] or on [+] button you go to forum creating page. On this page you insert forum Title, Description, SEO description. 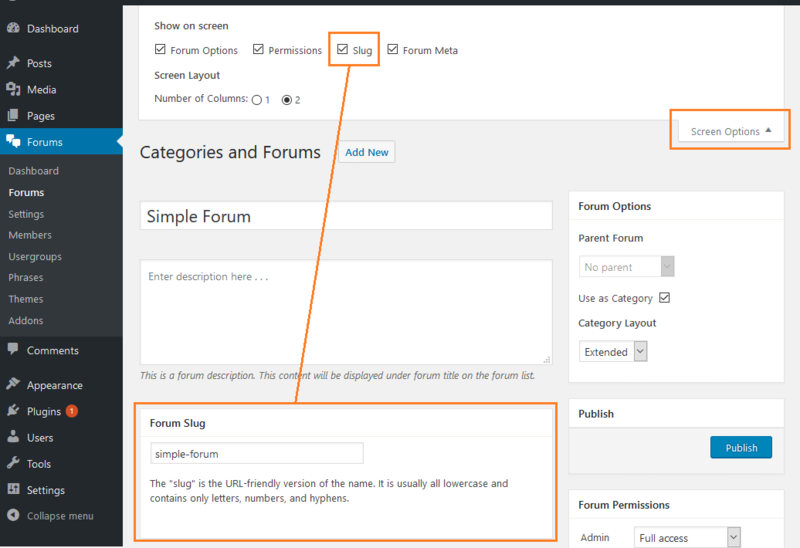 In “Forum Icon” section you can change default forum icons using font-awesome icon library. The default icon is “fa-comments”. You can find all icons here. Make sure you insert a class of font-awesome icon, it should start with fa- prefix like “fa-comments”. 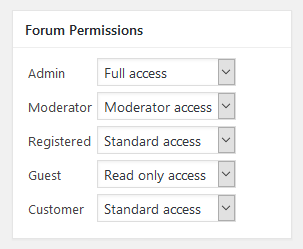 In “Forum Options” section, you can set this forum as Category (no parent), or make it as a child forum to any Category/Forum listed in “Parent Forum” dropdown. When you enable “Use as Category” checkbox, it activates the “Category Layout” dropdown and allows you select layout for this Category and its child forums. 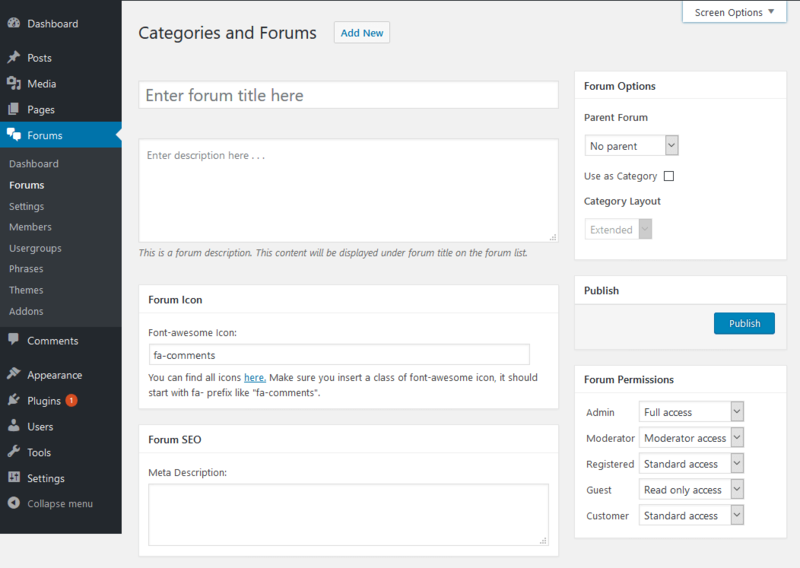 Child forums’ layout depends on the top Category layout. Child forums cannot have a different layout they inherits from parent Category. Forum slug/permalink will be generated based on forum title once you click on [Publish] button. If you want to insert custom slug, you should enable “Forum Slug” section in top “Screen Options” area. Once you finished with all options you just need to click on [Publish] button located in right sidebar. If a category (blue panels) does not have forums (grey panels) it will not be displayed on front-end. Each category should contain at least one forum. Forums will be available immediately on front end (if you don’t have cache plugins).